It’s time to get started. Full of energy, we are now taking the project into the funding phase. 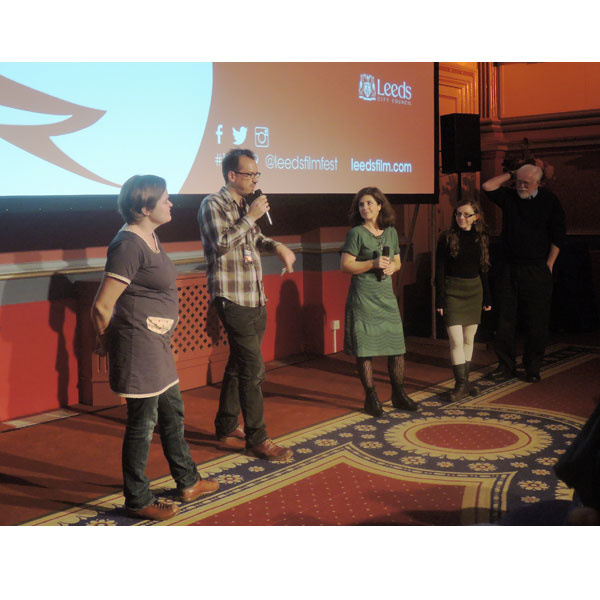 Two weeks ago the documentary celebrated an amazing world premiere at the International Film Festival in Leeds, England. And just now we found out that DOING NOTHING ALL DAY was one of the top ten audience choices from a total of 131 films! We are very delighted with these encouraging results. And this success has made us even more excited about the launch of this campaign to publish the film. We are always hearing about amazing documentaries that disappear onto shelves due to a lack of funding and energy We don’t want this to happen with DOING NOTHING ALL DAY! Therefore, our team got together once again and came up with a whole list of wonderful rewards for contributions. These will be sent out to our supporters as soon as we’ve reached the funding threshold. The team of democraticArts will also be taking part in a campaign at the Munich students’ congress besser::15. Please help us spread the word so that as many people as possible can find out about our project. You can share it on Facebook or per email, speak with friends and register on Startnext to become an official “fan”. We also hope you will join us in celebrating the German premiere in Munich in early 2016.